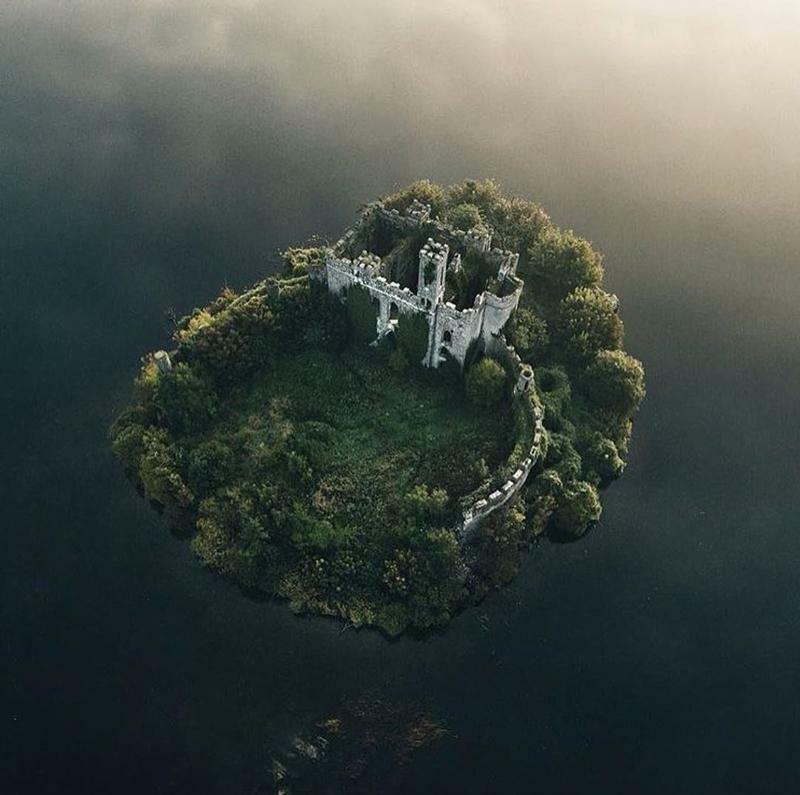 Located in Roscommon, Ireland, McDermott's Castle is on an island in the southeast corner of Lough Key. There has been a castle on the island since the 12th century. In 1184, there was a fire caused by a lightning bolt where everyone in the place either burned or drowned except for one person, Conchobar mac Diarmata and a small number of his people. Another castle was built; but in 1586, the McDermotts lost the island and the castle was abandoned. In 2014, the castle and the island were used in a show called Moone Boy.